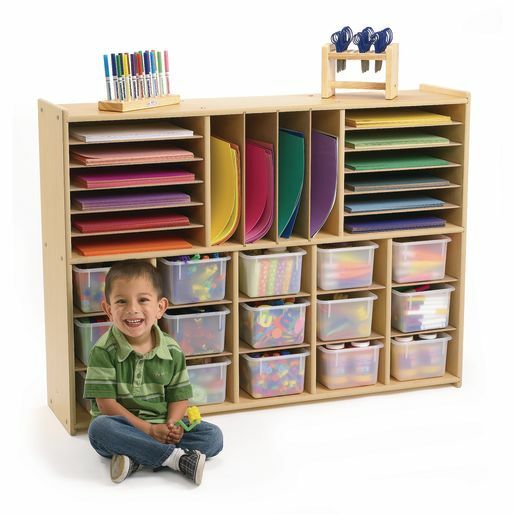 Affordable, versatile multi-section is great for arts & craft storage! 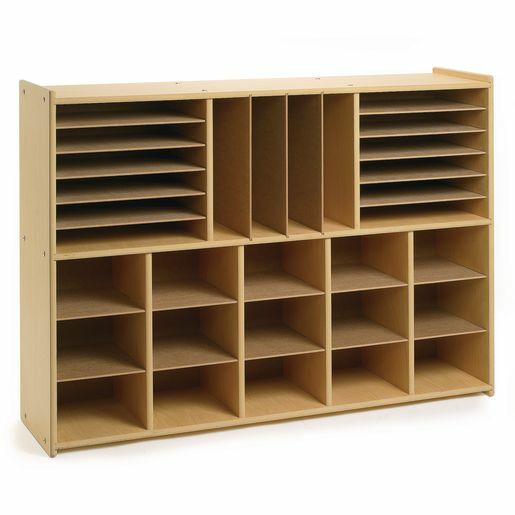 Constructed with 5/8" thick, maple-face melamine panels with a wood grained recessed back panel (1/4" thick). 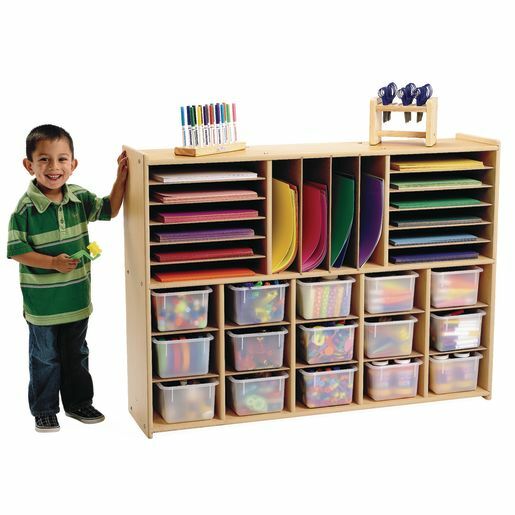 Bottom cubbies measure 9"W x 11-3/4"D x 5-1/2"H. Horizontal upper side storage areas each measure 15"W x 2"H. Comes with removable upper, vertical dividers (4"W x 15"H). 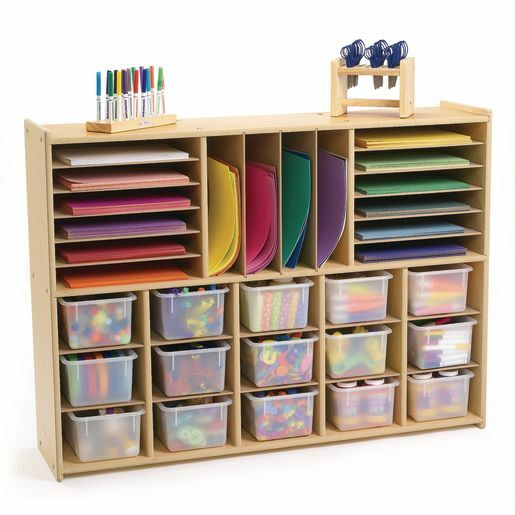 Use with our cubbie trays. Assembly required; hardware included. Lifetime warranty. 35-1/2"H x 47-3/4" x 11-3/4"D.